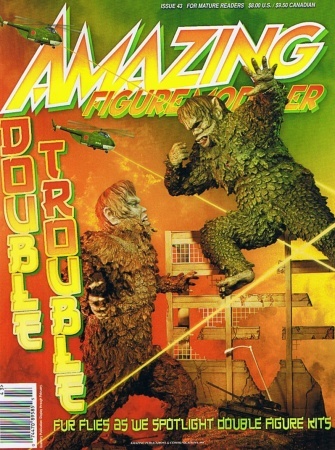 Amazing Figure Modeler #43 features double figure kits with War of the Gargantuas on the cover. Other articles include Curse of the Werewolf by Thad Rhodes, Kong vs the T-Rex by Mike Wallace, Fritz and the Frankenstein Monster by Steve Riojas, and Belles of Gothum by Jason Walker. As always, there is much much more!